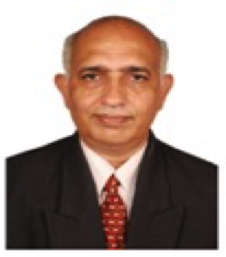 Mechanical Engineering at IIT Madras » Dr. Prasad, B. V. S. S. S.
Dr. Prasad, B. V. S. S. S.
Dr. BVSSS Prasad received his PhD from Indian Institute of Technology Kharagpur, in 1986. He worked as Lecturer and Assistant Professor at IIT Kharagpur, prior to joining IIT Madras as Associate Professor in 1995. He was a Visiting Research Scientist and Visiting Professor at University of Michigan, Dearborn, USA and Technical University of Nova Scotia, Halifax, Canada respectively during 1991-93. His research interest includes fluid flow and heat transfer pertaining to turbomachinery, CFD, fluidized bed technology and heat flux measurements. He mainly works on gas turbine blade cooling. He holds one patent on heat flux measurement. He edited 8 conference Proceedings. He guided 13 Ph.Ds, 18 M.S and 48 M.Tech students, and undertook 94 sponsored and consultancy projects. He published 140 papers in various peer reviewed journals and Conference Proceedings. He is a life member of several professional Societies and currently Vice President, FMFP and President, FPSI (Madras Chapter). Chauhan, Amit K, Prasad B.V.S.S.S., Patnaik B.S.V, “Thermal Hydraulics of Rod Bundles: The Effect of Eccentricity”, Nuclear Engineering and Design,Vol. 263, 218-240, 2013. Prasad, B.V.S.S.S., Tawfek, A. A., and Mohanty, A. K., “Heat Transfer from a Circular Cylinder Rotating about an Orthogonal Axis in Quiscent air”, Experiments in Fluids, Vol. 10, pp. 267–272, 1991.